Members of Regina’s Sikh community gathered this past weekend to support local women’s shelters by assembling care packages filled with baked goods, personal hygiene products and chocolate that will be delivered on Valentine’s Day. They were participating in the One Billion Rising movement, a campaign started by the World Sikh Organization of Canada to raise awareness that one in three women — one billion globally — will be assaulted in their lifetime. The event also took place in other major cities across Canada. This was the first time Regina’s Sikh community has taken part, with volunteers working at the Sikh Society of Regina Gurdwara to put together hundreds of packages. 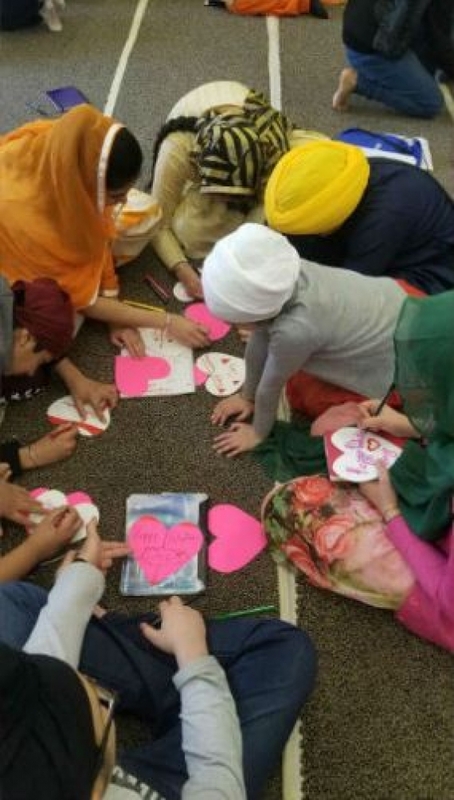 Including Sunday school students from Regina's Sikh Temple (from photo above), who made Valentine's Day cards to go with the care packages.